You can get life insurance approval with Idiopathic Hypertrophic Subaortic Stenosis! Finding an affordable life insurance policy with Idiopathic Hypertrophic Subaortic Stenosis can be quite the challenge. Can I Qualify for Life Insurance if I have Idiopathic Hypertrophic Subaortic Stenosis? Yes, most individuals with Idiopathic Hypertrophic Subaortic Stenosis will be able to qualify for traditional life insurance, the type of insurance which requires a medical exam. Best Case Scenario – If an individual with Idiopathic Hypertrophic Subaortic Stenosis is over the age of 40 and has no symptoms of palpitations, heart murmurs or fainting spells most cases may qualify for the best rating at “Medium Substandard”. Click here for quote at “Medium Substandard”. Severe Case – In individuals over 40, but with severe and recent complications such as bacterial infection to the heart muscles, the best approval you may obtain is at a “Severe substandard” rating even after recovery. For those who are under 40, it is an automatic decline. Click here for a quote at “Severe Substandard”. How many years have you been diagnosed with Idiopathic Hypertrophic Subaortic Stenosis? Idiopathic Hypertrophic Subaortic Stenosis is a progressing condition that when not treated early may have serious complications such as heart failure. However, when detected early and the symptoms of fatigue, irregular heartbeat and shortness of breath are managed early and complications prevented, may get a “Medium Substandard” rating. Symptoms such as swelling of ankles and feet, chest pain or fainting spells may be flare signs of the condition. These symptoms may be warning signals of a life threatening condition and may get you an automatic decline. If the condition is established as a non-emergency, the best rating you may get is at a “Severe Substandard”. The need for medications to maintain the heart’s normal function may either be good or bad depending on the results of diagnostic exams. Diagnostic tests will show the actual condition of the heart and will be the basis of the rating whether you will qualify for a “Medium Substandard” or “Severe Substandard”. Regular visit to your cardiologist is a good sign of control of the condition and may get you the best rating if there are no severe symptoms like fainting spells, heart murmurs or chest pain. It is, however, necessary for laboratory and diagnostic exams to confirm the absence of complications such as bacterial infection. Recent diagnostic tests like ECG, cardiac catheterization or MRI are the best ways to assess your actual condition. This may also confirm your compliance with your physician’s management. Do you have a family history of heart failure or cardiac arrest? A family history of heart failure or cardiac arrest plus if your age is under 40 may get you the “Severe Substandard” rating or in worst cases a decline. Idiopathic Hypertrophic Subaortic Stenosis (IHSS) or also known as hypertrophic cardiomyopathy is a chronic condition where a portion of the heart muscle (myocardium) is thickened, causes obstruction and therefore results to cardiac enlargement. 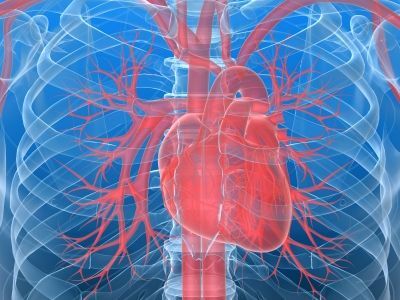 When this happens the electrical impulses sent to and from the heart becomes disrupted, then causes restrictions in the blood flow. Cardiac output in Idiopathic Hypertrophic Subaortic Stenosis becomes low, very high or normal depending on the severity of obstruction. Hypertrophic cardiomyopathy is usually asymptomatic, but when symptoms occur they are usually life threatening in nature. The cause of Idiopathic Hypertrophic Subaortic Stenosis is unknown but is strongly related to familial history of the mutated genes of the heart muscles. Symptoms of IHSS include fainting spells, chest pain on exertion, heart murmurs, irregular heart rhythm, distended neck veins, shortness of breath, fatigue, swollen ankles and feet, palpitation, and in severe cases, heart failure. One of the worst complications of hypertrophic cardiomyopathy other than cardiac arrest is bacterial infection of the heart valves. In these cases, close management is very important. Most cases, however, are managed well by medications such as beta blockers or calcium channel blockers. 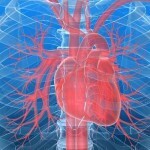 See out other articles for Heart Conditions and Click Here!